Just because the president signs legislation into law, doesn’t mean the president actually signs the legislation. Almost every weekday morning, one of my new friends at the wonderful coffee house where I do a lot of my work, the Brooklyn Commune in my Windsor Terrace neighborhood, folds his New York Times up in a small square to work on the crossword puzzle. We talk current baseball— both of us are long-suffering Mets fans— and baseball history. The autograph authentication company that has certified more than 1,000 jerseys, photos, mini helmets and other items as bearing the valid signature of Florida State quarterback Jameis Winston received the items only after an initial authentication firm rejected the job because of concerns about their legitimacy, sources told "Outside the Lines." Attention collector's and dealers. 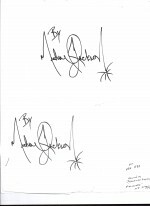 It seems since early last year there has been a flood of people offering the signature of Michael Jackson at prices from $75.00 to $300.00. ST. PETERSBURG, Fla. -- The world's largest privately-held autograph collection is now open to the public, the newest addition to the St. Pete Museum of History. But the our news partners at WTSP 10 News Investigators found numerous indications some of the most prized autographs may not be authentic. 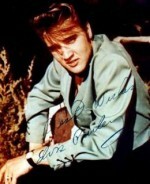 (Reuters) - Elvis Presley and The Beatles top the list of most-forged celebrity signatures in 2012, with less than half of their autographs for sale certified as genuine, memorabilia authenticators PSA/DNA said on Thursday. The quick TV report of RTL about autographs and it's counterfeits. In a rented storage locker on Manhattan’s Upper West Side, the writer Lee Israel kept a cache of antique typewriters: Remingtons and Royals, Adlers and Olympias. Each was tenderly curated, hung with a tag whose carefully lettered names — Edna, Dorothy, Noël, Eugene O’Neill, Hellman, Bogart, Louise Brooks — hinted at the felonious intimacy for which the machines were used. 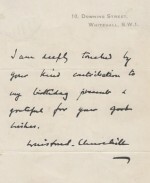 As both a collector and dealer I am always on the lookout for anything signed by Churchill, so every week I do a search for items signed by Winston Churchill on ebay, and each week I come across the same signed “authentic” letters that are a little less than “authentic” They may have come from Winston Churchill’s office, but they were certainly not written or signed by him. Years ago, I enjoyed a huge adrenalin rush at a flea market in Brooklyn’s Park Slope section. 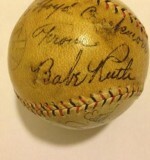 For a few hundred dollars I bought a beautiful baseball from the late 1940s with the signatures of the great Brooklyn Dodgers such as Jackie Robinson, Pee Wee Reese, and Roy Campanella. 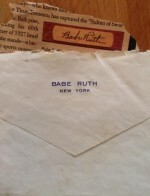 But my baseball was a bust when I tried consigning it to an auction held by Lelands, a top New York house. Mike Heffner, the president, informed me that many of the autographs were penned by the Dodger’s clubhouse boy. If the price is too good to be true, it is probably a fake. A man who ran a "cottage industry" producing fake celebrity autographs, including those of actor David Tennant, has been jailed. A Gresham man who sold fake Beatles and sports memorabilia on Craigslist was sentenced Thursday to more than two years in prison.